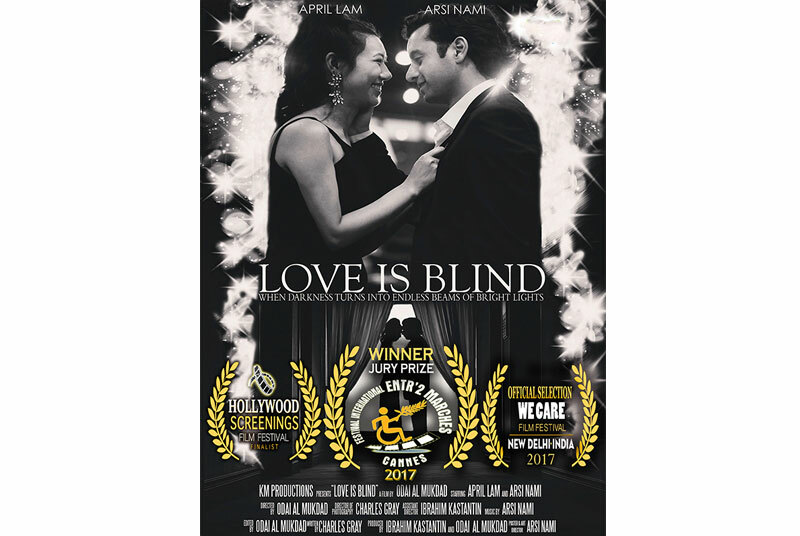 TThe short film, Love is Blind, went a long way for the community of people with disabilities, winning Jury Prize at 2017 Cannes International Film Festival Entr'2 Marches for disability awareness. The project was very close to my heart, and I had the honor to compose the film's music soundtrack as well as play "Giovanni," the visually impaired lead character. Like the film, I have come a long way. I was four-years-old during the Iran-Iraq war and the lives of my two brothers and I depended on the protection and care of our mother. As warplanes flew over our home in Shiraz, we would hide in the basement as my mother sang songs to soothe us. She would tell us everything will be alright and that it's only fireworks. She eventually applied for asylum, and we all emigrated to Sweden. My mother is my number one motivation in life, and what she has been through inspires me every day. I try to also think of her wise words, "The sun may set, but it will rise again the next day." I hold a Bachelor Arts Degree in Music Therapy with honors, from California State University of Northridge. I am an actor, music therapist for individuals with disabilities and special needs, and a singer/songwriter. My connection to Love is Blind originated from a variety of experiences from different points in my life. It came from working with people with disabilities and visual impairments since I was 16-years-old in Sweden and, later, through music therapy in the United States. 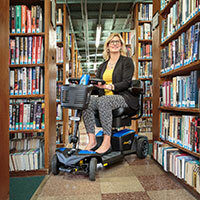 It also found its roots in personal injury from a life-changing accident and a depression disorder. About two years ago, during my music therapy work with special needs clients, I got into a car accident. I injured my head and neck, leading to a concussion and nerve-damaging disc protrusions which caused chronic pain in my left arm and the left side of my upper body. On top of that, I was also diagnosed with depression anxiety disorder and started seeing a psychologist in addition to receiving physical therapy. With treatments going on, the most significant damage was caused to my heart. I was heartbroken, and at my worst. A tough breakup added weight to my depression and loneliness. All dreams about becoming a music therapist, all the years studying, and it now was on the edge of a cliff. As a music therapist, I told myself I need to find a way and figure out how to overcome the challenge. One day after coming home from a psychotherapy session, I passed by the SAG-AFTRA—the Screen Actors Guild building—and saw an advertisement for free acting workshops. With a solid what-do-I-have-to-lose attitude, I signed up. However, after attending the workshops, I discovered I had found a possible remedy and distraction to all the pain and my anxiety depression disorder. A month later, I started attending auditions for fun, and next thing I knew, I was booking International commercials for Samsung, Guitar Center, Hewlett-Packard, Ford, NBA, Disney, Curio by Hilton. I was now flying around the states doing commercials and films in Miami, Phoenix, New York, San Francisco. But still, every time I boarded a plane, nothing but tears came down my face. I did not understand what was going on. One of the first roles I auditioned for was the part of Giovanni in Love is Blind. I felt chemistry in portraying a visually impaired (blind) man. I had worked for years with clients who had visual impairments at clinics and hospitals. It also felt personal to me also because I was going through my injury. Out of 250 submissions, I was chosen to play the role. Because of my music background, I was also approved by the production to compose the original film soundtrack, as well as create the official film poster. When the film was complete, and with disability community close to my heart, I took the opportunity to reach out to presidents at the festivals in Cannes and India. As a wonderful birthday gift, the film was first screened on May 21 in Cannes, France. It went on to become a Jury Prize Winner at 2017 Cannes International Film festival Entr'2 Marches for sharing disability awareness as well as Official Selection at We Care Film Festival in India, nominated for Best film. It was never my goal to become famous. I worked in healthcare and ultimately became a music therapist because I believe in unconditional love. Though my injury was a setback, I'm glad that I can now give back by sharing disability awareness with a win at Cannes Film Festival and around the world. 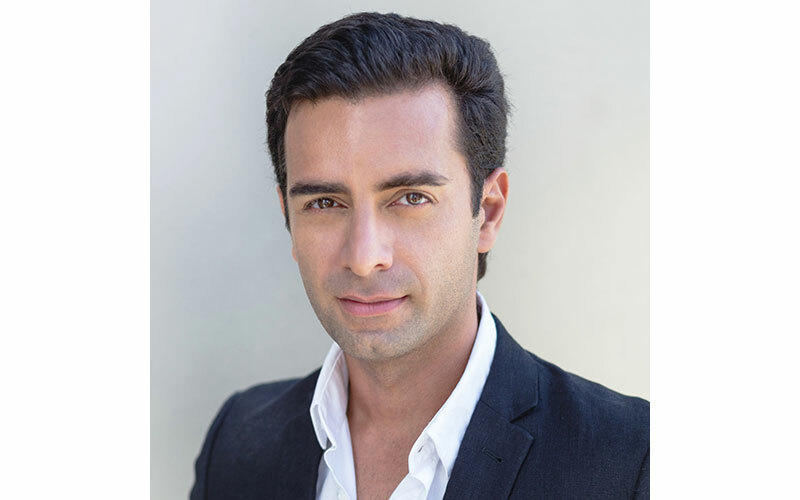 Arsi Nami is a Persian-Swedish actor, music therapist, singer and songwriter living in Los Angeles. His film projects include Love is Blind, Villa and Camelia. Download the Love Is Blind soundtrack or watch it on Amazon Prime.